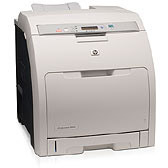 HP’s Color LaserJet 3000tn printer gives you sharp, legible print work time and time again. Your entire office has come to depend on this workgroup printer’s fast print speeds and consistent print quality. This device does particularly well in midsize offices, as the original equipment manufacturer (OEM) HP 314A toner cartridges print up to 6,500 pages in black and up to 3,500 pages in color. You know that OEM cartridges will produce superior work compared to cheap toner from questionable retailers, but the cost of OEM products can be overwhelming for many business’ budgets. That’s where 1ink.com can help. Our remanufactured HP toner produces the same print quality and offers the same page yield as OEM products for over 50% off the OEM retail price! You’ll still get stunning monochrome and color photographs, legible documents, and precisely arranged spreadsheets, but you’ll save a lot of money in the process. If you need toner for HP LaserJet 3000tn printers, you have other options thanks to 1ink.com. Browse our remanufactured cartridges below and try us risk-free thanks to our one-year warranty!